Handle miscellaneous logic and utilities. Authenticate the GH wrapper with Github. Args: token (str): The Github token to authenticate with. Defaults to: None. Args: oauth_token (str): The Github OAuth token. Returns: dict: An authentication dictionary. Check whether or not the provided username is present in the payload as active user. Args: profile (str): The profile username to be validated. Returns: dict: A dictionary containing status and user data. Returns: str: The new Github OAuth token. Build the Github authorization URL. Args: redirect_uri (str): The redirect URI to be used during authentication. Attributes: github_callback (str): The local path to the Github callback view. redirect_params (dict): The redirect paramaters to URL encode. params (dict): The URL parameters to encode. auth_url (str): The URL encoded Github authentication parameters. Returns: str: The Github authentication URL. Get the Github authorization token. Get the user's github profile information. Args: oauth_token (str): The Github OAuth2 token to use for authentication. Returns: requests.Response: The Github user response. Get the primary email address associated with the github profile. Returns: str: The user's primary github email address. Get all email addresses associated with the github profile. Returns: list of str: All of the user's associated email from github. Returns: list of str: All of the user's associated email from git. Search for a user on github. Args: query (str): The query text to match. Returns: request.Response: The github search response. Args: query (str): The query text to match. 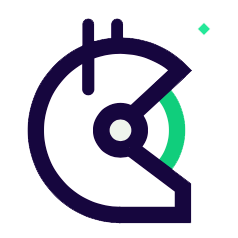 token (str): The user's Github token to be used to perform the search. Returns: dict: The first matching github user dictionary. Returns: github.PaginatedList: The pygithub paginator object of all results if many True. Get the comments from issues on a respository. PLEASE NOTE CURRENT LIMITATION OF 100 COMMENTS. Returns: requests.Response: The GitHub comments response. Get the open issues on a respository. Get the timeline events for a given issue. Returns: requests.Response: The GitHub timeline response. Get the github user details. Get the Github notifications for Gitcoin Bot. Post a comment on an issue. Update a comment on an issue via patch. Remove a comment on an issue via delete. React to an issue comment. Get the URL dictionary with specific data we care about. Args: issue_url (str): The Github issue URL. Raises: IndexError: The exception is raised if accessing a necessary index fails. Returns: dict: A mapping of details for the specified issue URL. Returns: str: The repository URL. Get the organization name from an issue URL. Returns: str: The Github organization name. Get the repo name from an issue URL. Returns: str: The Github repo name. Get the issue_number from an issue URL. Get the current Github API ratelimit for the provided token.